Android USB Drivers provides an interface between your Android device and computer to communicate. There are various purposes for these drivers. First, you can try to install generic drivers like ADB & Fastboot and then you can install vendor specific drivers. ADB stands for “Android Debug Bridge.” It is necessary and essential to establishing the connection between the computer and Android device. This tool will allow you to send a wide array of terminal commands—including but basic Linux shell commands, plus some specialty developer commands—to your phone at just at any time (as long as you have debugging enabled on your phone). You can send commands while the phone is turned on and booted, or even when it’s in recovery mode. While ADB is often used in conjunction with rooting or modifying your phone, you can use ADB to send terminal commands to unrooted devices as well. If your android device is still not detected by your computer even after installing ADB & Fastboot, then try installing PDANet drivers from below. Update: – You can also install ADB & Fastboot drivers by directly installing Minimal ADB & Fastboot. If it does not work for you then you, can try the whole method illustrated below. First, we need to install Java SE development kit for windows. For this go to this page. It will look something like this. You will see something like this. Download 32-bit file for 32bit and I will recommend you to install both on 64bit. After the download completes, install that package on your computer. After installation download Android SDK package from this page and click download the SDK. Tick to agree on terms and conditions and select your computer architecture i.e. 32bit or 64bit. Extract the Android SDK zip file anywhere on your computer. Open SDK Manager.exe from extracted folder. Tick Android SDK Platform Tools and Google USB Driver. Click Install Packages and select accept the license and click install. After downloading and installation completes you will see Done loading packages. Now close Android SDK manager. Now open file explorer and go to the extracted folder. Open sdkplatform-tools. Select these 4 files adb.exe, AdbWinApi.dll, AdbWinUsbApi.dll, fastboot.exe. Copy these four files to C:Fastboot. When you need to modify your phone’s firmware, fastboot is the tool you need. This allows you to send commands to the bootloader, which means you can flash/change things like custom recoveries. You can’t flash whole ROMs with it, but it’s helpful for many things that ADB can’t do. Fastboot isn’t enabled for all phones, so you may have to check your particular device. To use fastboot, your Android device must have to boot into fastboot mode. Here are some of the different methods for different manufacturers. Sony : – Press (+) volume button. Samsung: – boot into download mode. HTC: – Press (-) volume button and power button. Connect your Android device to your computer via USB cable. Open Fastboot folder located in C Drive. Put the .img file in that folder which you wanted to flash to your Android device. 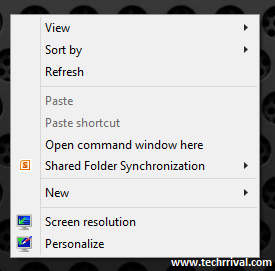 Press and hold the shift button and right click anywhere in the folder. Now click open command window here. Command prompt will open like this. Now type “fastboot flash boot name.img”. Replace name with the name the img file you wanted to flash and hit enter. Now that file will be flashed to your Android device. There are many more things that you can do with Fastboot mode. To learn more about it type “fastboot help” and hit enter. It will show the list of all the commands that can be executed in fastboot. Install it like normal software. During setup, you will be asked for selecting your device for installing device drivers. To root or to install any custom recovery on our Android phone via computer we need our computer software to identify our Android device. So in this tutorial, we will learn how to install Android USB drivers on Windows PC. Download your phone specific drivers for your Android device. Extract the driver’s archive file anywhere on your computer. Navigate to My Computer properties. In the left pane, you will find Device Manager. Click it. Right-click on it and select update driver software. Click Browse my computer for driver software and click next. Navigate to the folder where you have extracted the downloaded drivers and click next. So you have successfully installed your Android device drivers to your computer.